​DO YOU KNOW: That though some deny the existence of hell, the Bible clearly teaches it, in both the Old Testament and the New Testament? * That many misunderstand the subject, and some still hold to the heathen doctrine of eternal torture, which was attached to Christianity early in the Dark Ages, and so they believe in the hell of the Dark Ages instead of in the hell of the Bible? * That it is important that all examine carefully and learn thoroughly the Bible teachings on hell? DO YOU KNOW: That the only Old Testament word translated hell is sheol, to which the New Testament word hades corresponds? * That in the A.V. Bible, sheol and hades are translated hell 41 times, grave 32 times and pit 3 times and that frequently when translated hell, the margin reads, "or, the grave," or vice versa (Psa. 49:15; 55:15; 86:13; Isa. 14:9; Jonah 2:2; 1 Cor. 15:55; Rev. 20:13)? * That the translators of the Revised Version Bible (see also the RSV) evaded the issue, leaving the words sheol and hades untranslated? * That, contrary to the idea that hell is a place of fire, torture, shrieks, etc., the Bible says, "There is no work, nor device, nor knowledge, nor wisdom, in the grave [sheol], whither thou goest"; "in death there is no remembrance of thee: in the grave [sheol] who shall give thee thanks"; "the grave [sheol] cannot praise thee: death cannot celebrate thee" (Eccl. 9:10; Psa. 6:5; Isa. 38:18)? * That good people, as well as bad, go to sheol (hell) at death: e.g., Jacob went down to sheol (Gen. 37:35); Job prayed to go to sheol, to be hidden there, until the resurrection (Job 14:13)? * That Jesus "poured out his soul unto death" (Isa. 53:10, 12; Matt. 26:38), and descended into hell, but "his soul [His being] was not left in hell" (Psa. 16:10; Acts 2:27, 31)? * That in old English the word hell simply meant to hide or to cover—helling potatoes meant putting them into pits, helling a house meant covering or thatching it, etc. ; that the word hell was therefore properly used as signifying the secret or hidden condition of death; that it had no reference whatever to a place of torture until that meaning was attached to it by the theologians of the Dark Ages? * That, accordingly, hell (sheol or hades) means the unconscious, oblivious condition of death, where all souls, good and bad, go at death, and from which only the awakening from death can deliver any? DO YOU KNOW: That when God told Adam of sin's penalty, He did not say, "In the day that thou eatest thereof thou shalt live forever in torture," but He told him the truth: "thou shalt surely die [i.e., cease to live]" (Gen. 2:17)? * That Adam died in the same (1,000-year—2 Pet. 3:8; Psa. 90:4) day he ate the forbidden fruit? * That, contradicting God, Satan told the lie (John 8:44), "Ye shall not surely die" (Gen. 3:4), by which he has since deceived many into believing that the dead are not really dead, but that at death they live on, and, without waiting for the resurrection day, go directly into heaven or into eternal torment; whereas the Bible states plainly that "the dead know not any thing"; that "the dead praise not the Lord, neither any that go down into silence"; that "his sons come to honour, and he knoweth it not; and they are brought low, but he perceiveth it not of them"; that Abraham and Israel (Jacob) in sheol are "ignorant of us" (Eccl. 9:5; Psa. 115:17; Job 14:21; Isa. 63:16)? * That the Bible states plainly that "the soul that sinneth, it shall die" (Ezek. 18:4, 20); that "the wages of sin is death [cessation of life — not life in torment]; but the gift of God is eternal life [which gift He will not give to the wicked—1 John 3:15; 5:12] through Jesus Christ" (Rom. 6:23; Acts 4:12)? * That "God so loved the world, that he gave his only begotten Son, that whosoever believeth in him should not perish [i.e., forever cease to live], but have everlasting life"; that "the man Christ Jesus" "gave himself a ransom [a corresponding price] for all [Adam and his race], to be testified in due time" (John 3:16; 1 Tim. 2:4-6)? * That if the penalty against Adam and his race had been eternal torment, Jesus would have had to suffer an eternity of torture to pay this debt; but, because the "wages of sin is death," "Christ died for our sins," He tasted death for every man; and He "was raised from the dead" (1 Cor. 15:3, 4; Heb. 2:9; Rom. 5:6-10; Col. 1:18; Rev. 1:18)? DO YOU KNOW: That Jesus, when on earth, said, "No man hath ascended up to heaven, but he that came down from heaven" (John 3:13; Acts 2:34)? * That the Bible says that the dead, good and bad, are "asleep" (2 Pet. 3:4; 2 Kings 21:17, 18; John 11:11-14; 1 Thes. 4:13-17), i.e., oblivious, unconscious, in sheol or hades, waiting for the awakening; that "if there be no resurrection of the dead, … then they also which are fallen asleep in Christ are perished" (1 Cor. 15:13-18)? * That God through Christ ransoms all, not from eternal torture, but "from the power of the grave [sheol]" (Hos. 13:14); that none, however, come forth until Jesus calls them in the resurrection awakening at His Second Advent (John 14:3; 1 Cor. 15:21-23, 52), when (and not previously) St. Paul and others receive their crowns of life and rewards (2 Tim. 4:8; 1 Pet. 1:5; 5:4; Luke 14:14)? * That eventually "all that are in the graves shall hear his [Jesus'] voice, and shall come forth" (John 5:28, 29); that when sheol or hades thus delivers up all who sleep in Adamic death, sheol or hades will forever cease to exist—"O grave [sheol] I will be thy destruction"; "death and hell [hades; also the devil, the beast, the false prophet and the incorrigibly wicked] were cast into the lake of fire [fire destroys all combustible materials put into it, and therefore is used in the Bible as a symbol of destruction]. This is [represents] the second death [utter, complete and eternal annihilation, from which none will ever be recovered]" (Hos. 13:14; Rev. 19:20; 20:14, 15; 21:8; Gal. 6:8; Heb. 6:4-8; 10:26-31; 12:29; 1 John 5:16; Jude 1:12, 13)? * That Sodom and Gomorrha are set forth by God "as an example, suffering the vengeance of eternal fire" (Jude 1:7)—not that the fire is still burning and is unable to destroy those cities, but that it brought upon them eternal destruction, even as the "everlasting fire prepared for the devil and his angels" will bring everlasting destruction upon them (Heb. 2:14; Ezek. 28:19; Psa. 145:20). DO YOU KNOW: That in Rev. 20:10 (comp. Rev. 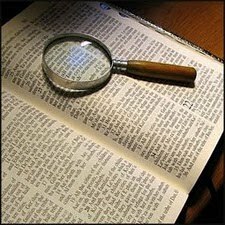 14:10, 11) the word translated "tormented" should have been rendered "tested" or "examined"; that the evil deeds and teachings of the devil, the beast and the false prophet will be examined forever by the righteous, and will be recognized as rightly deserving destruction (comp. Isa. 14:15-17)? * That "narrow is the way that leadeth unto life," but "broad is the way that leadeth [not to preservation in fire, but] to destruction" (Matt. 7:13)? * That the wicked "shall be punished with everlasting destruction" (2 Thes. 1:9); that they "bring upon themselves swift destruction" (2 Pet. 2:1, 12); that their "end is destruction" (Phil. 3:19) that they "shall go away into everlasting punishment [not everlasting torture, but death, for 'sin, when it is finished, bringeth forth death' (James 1:15; 4:12); everlasting death is everlasting punishment], but the righteous [who only will have life—John 3:36; 1 John 5:12; Psa. 37:1-40] into life eternal" (Matt. 25:46)? * That, also, the New Testament word gehenna is translated hell; that its Old Testament equivalent is ge-Hinnom—valley of Hinnom; that into this valley outside Jerusalem its refuse was cast, and it was destroyed there either by worms or by fire and brimstone; that gehenna, "where their worm dieth not, and the fire is not quenched" (Mark 9:43-48), represents the Second Death—not that literal worms and fire will exist there eternally, but that God's destruction of the wicked is sure, pictured by everything cast into the valley of Hinnom being completely destroyed, either by the worms or by the fire? * That God "is able to destroy both soul and body in hell [gehenna]"; that "every soul which will not hear that prophet [Christ] shall be destroyed"; that "the Lord preserveth [only] all that love him: but the wicked will he destroy"; "they shall be as though they had not been"; "they are extinct" (Matt. 10:28; Ezek. 18:4, 20; Acts 3:23; Psa. 145:20; Obad. 1:16; Isa. 43:17)? DO YOU KNOW: That God is just (Deut. 32:4) and will punish every sinner according to his guilt (Matt. 12:36; Luke 12:47, 48), but His justice forbids His exacting a greater extreme penalty than the one He declared, i.e., death? "Shall mortal man [who unless debased would not consider torturing even a cat in fire for one minute, let alone for eternity] be more just than God? Shall a man be more pure than his maker? Far be it from God, that he should do wickedness" (Job 4:17; 34:10)? * That God forbade Israel to torture children with fire in Molech worship, condemning it and calling it an abomination which never came into His mind (Lev. 18:21; 20:2-5; Jer. 19:5; 32:34, 35)? * That "God is love" and He desires us to "worship him in spirit and in truth," out of love for Him, and not because of fear of punishment now and in the hereafter—"perfect love casteth out fear [dread]" (1 John 4:8-12, 16-21; John 4:24)?